From red ones to green ones, from Cox’s to Pippins, apples all look different – but they all have a star inside. People are like that, too. 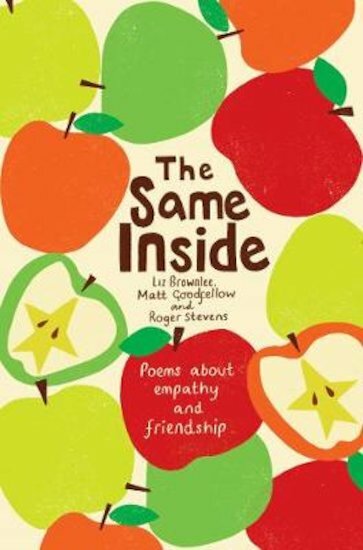 In this sweet and thoughtful book of poems, you’ll explore the things that make us unique, but still the same inside. Friendly hellos and sad goodbyes. Friends to make and bullies to tackle. Rules to make and rules to break. Oh, and all kinds of people to meet! Fifty fantastic verses about what it means to live and love, by three of the UK’s best-loved poets.